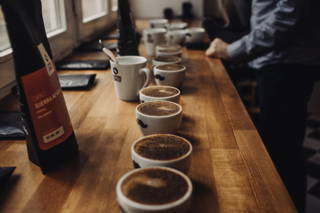 Cupping is the professional tasting of a coffee, during which its quality is checked and evaluated. 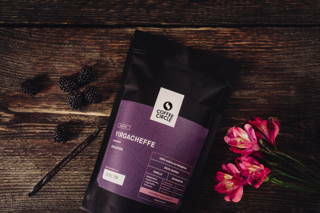 We recently cupped the coffee from our latest harvest in Ethiopia. We’ll now explain how such cuppings work in detail and what details must be observed. Along the coffee value chain, there are various places where coffees are cupped. Green coffee buyers carry out cuppings in order to evaluate the quality and are thus able to assign a price to the coffee. When roasters try out different roasting profiles on a coffee, they do cuppings of these coffees to find out which profile they best suit. 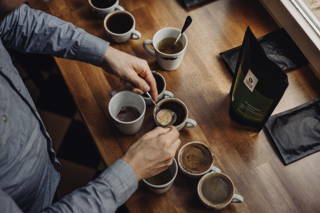 Some cafés and roasting establishments also organise cuppings to let customers get up close and personal with their different coffees and get a feel for the distinctness of each type. Why do we do cuppings in Ethiopia? We do coffee cuppings in Ethiopia to assess the quality of the coffee. 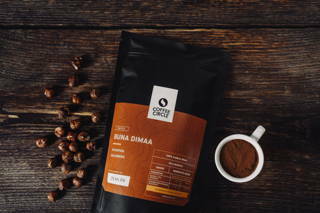 For this it is important that the beans are roasted lightly so that the coffee’s own taste comes out better and is not overpowered by roasting aromas. 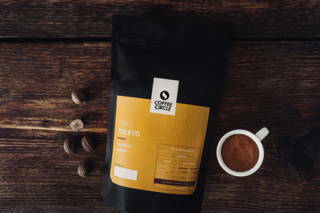 Before the coffee is cupped, the beans should be left for 1 to 3 days after roasting so that they have time to breathe and let the aromas settle. Most of the time we cup different coffees simultaneously in order to have a direct comparison between the coffees. How is the coffee prepared during cupping? It’s essential that all coffees are prepared with the same parameters in order to ensure the best possible comparability. All coffees should therefore be ground to the same degree and all cups should have the same ratio of coffee to water. 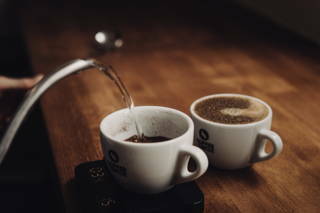 In general, it’s recommended to brew at least two cups of the same beans to rule out the chance any one bad bean devalues the quality of the entire coffee. 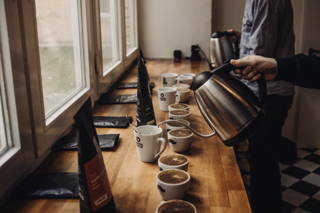 In Ethiopia, many Cupping Labs have high-quality equipment: the sample roasters often come from the German quality company Probat and the mill usually comes from Mahlkönig in Hamburg. 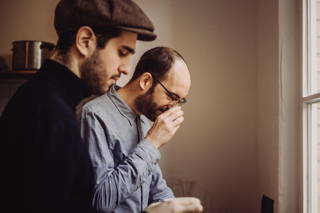 The process of a Cupping appears as follows: First, the beans are ground fresh and the aroma is assessed. The more intense and aromatic a coffee smells, the more special it is. Afterwards the coffee is infused with 96° hot water and left to stand for 4 minutes. A crust forms on the surface of the cup, which is broken after 4 minutes with a cupping spoon (this is an extra large or deep tablespoon). While breaking the crust, the nose should be close to the coffee, as the aromas which have been collecting under the crust will emerge at this moment and can be perceived particularly well. In this step, the aroma of the coffee is again evaluated. Once more, the more intense and pleasant the coffee smells, the better the rating. The „Flavor Wheel“ is a very helpful tool for evaluating aromas. The remaining coffee grounds floating on the surface are then skimmed off. 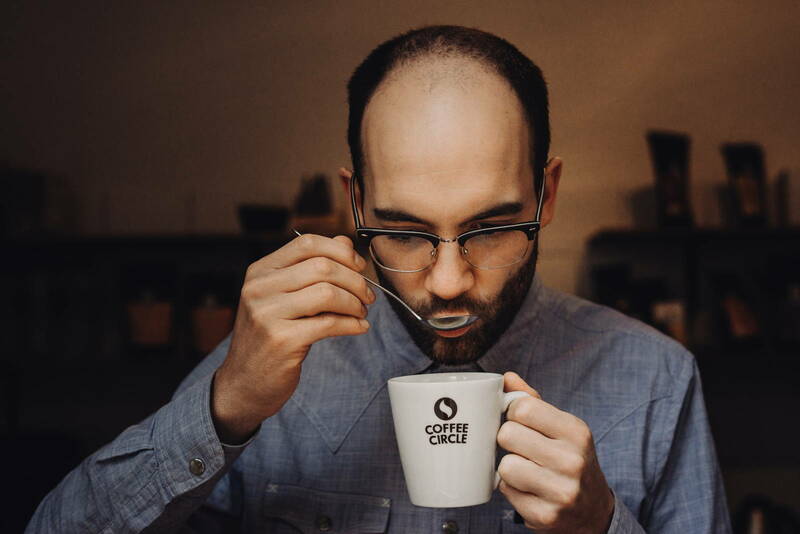 When the coffee has cooled down a little, it’s poured onto the cupping spoon and tasted. 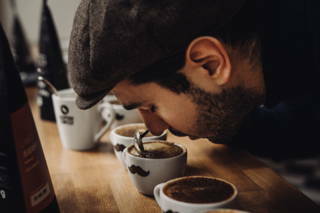 The coffee must be sucked into the mouth as vigorously as possible – we’re talking loud slurping noises, so the aromas can be distributed throughout the whole mouth and absorbed by all receptors. Now more boxes can be ticked: taste, aftertaste, acidity, body, balance etc. For the individual categories, they should be evaluated as objectively as possible for how pleasant and intensive the coffee turns out. Is the taste strong or weak? Too acidic or just right? Is the body strong or weak? Is the coffee uniform or are there differences between the cups? Only in the final category (overall) should there be room for subjectivity as overall enjoyment is evaluated. 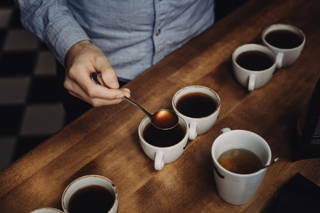 Experienced cuppers are used to awarding points to the coffees in the individual categories, so that a point total can be calculated at the end. 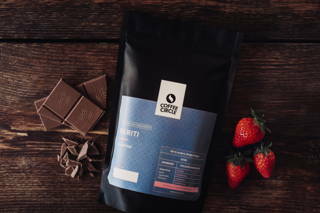 As for our own metric: every coffee that receives over 80 points is considered a ‘speciality coffee’ and we only select coffees that meet this quality. Can I do a cupping at home? A tip if you want to try a cupping at home: The most fun is a ‘blind cupping’ and it’s probably the most objective way to evaluate coffees. 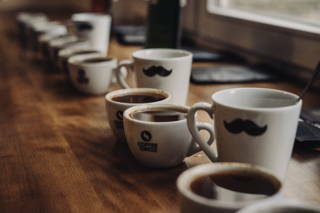 This doesn’t mean you have to tie a scarf around your eyes (but if that’s your thing, we’re all for it); instead, you can assign anonymous numbers to the coffees during the cupping and only reveal the names of each coffee afterwards.